Wendy Steele of Cinncinatti wanted to figure out a way to promote female philanthropy in her Ohio hometown. After asking for help from her closest friends and business associates, in 2001 she came up with the brilliant idea to start a non-profit called Impact 100 that puts women together in groups in order to collectively fundraise to donate money to a specific organization of their choice. Each group fund raises, donates, and selects who gets the money together as an all-girls fund raising team! Christine Dohrmann, co-founder of Impact 100-Sonoma in California, one of the now 17 branches of Impact-100, says that being part of this unique type of organized fund raising, "gives women a chance to make the kind of impact they would never be able to make alone" and that their branch is successful because women understand and believe in their concept, "men are more hierarchical" she says in this story, "women work more in circles." Isn't that the truth! As a major supporter of the 'women helping women' mission, here are a few local organizations that deserve to be recognized for their contribution to improving the lives of girls and women in our community here in Portland. Here for you are a couple of local organizations dedicated to empowering girls. If you want to get together your friends or business associates....there are lots of ways to help these programs and we all should try to do our part to continue working towards improving the well being of girls and women in our community! 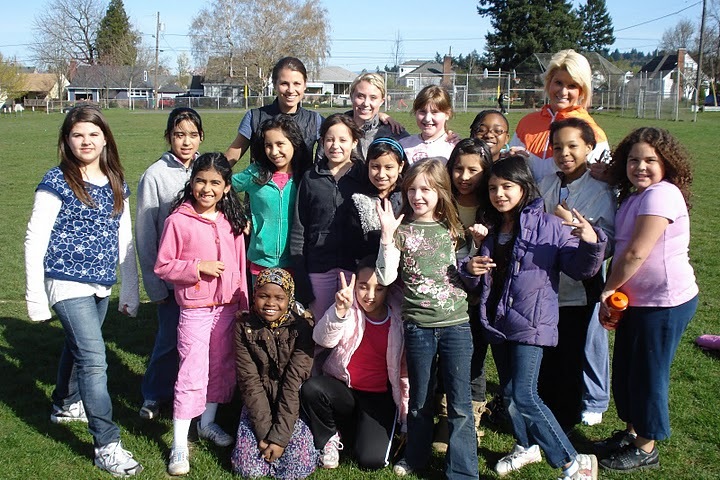 1) Girls On The Run: Designed for girls 3rd-5th grade, this program provides an encouraging community for girls to exercise while working on their emotional development and self-esteem. Each practice, these girls learn about important life skills while also exercising, focusing on the importance of mental and physical development. In the end, with the help from their coaches, the girls complete a 5K run together! 2) Rock 'n' Roll Camp for Girls: This camp is all about girls building relationships and enhancing their self esteem through musical expression. The camp provides an environment for girls to feel comfortable and take leadership opportunities that they would not have the opportunity or self confidence to do otherwise. 3) Girls Inc.: " A national nonprofit youth organization dedicated to inspiring all girls to be strong, smart, and bold" says their website, "with roots dating to 1864, Girls Inc has provided vital educational programs to millions of American girls, particularly those in high-risk, underserved areas." Girls, Inc funds unique programs to help girls confront their value and potential, and prepare them to lead successful, independent, and fulfilling lives! 4) Portland Women's Foundation: Founded in 1887 in order to "uphold the ideals of American Womanhood", this organization's mission is to "oversees its trust fund to grant financial assistance to agencies in our community that address the needs of women for housing and education that promote self-sufficiency." They are responsible for getting funding for dozens of women's shelters, ministries, and transition programs to provide help for all Portland women. At Aries Apparel, we are all about empowering girls and women of all ages. We feel athletics is one road girls can travel to learn how powerful they can become.